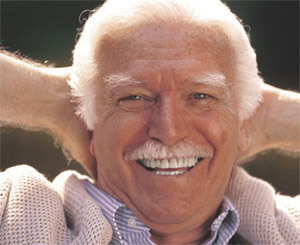 In stark contrast to dentures and partials, SmileOn! permanent dental implants look, chew and feel like your own teeth. In fact, they’re as close to real teeth as you can get. Here’s how they become permanent: One or more dental implants are surgically positioned in your jaw. After that, a single tooth or multiple teeth are attached to the implants. There’s minimal discomfort and multiple health benefits – and you’re eating again the very next day. Seldom has such a game-changing technology resulted so immediately in life-changing effects. Recent advances in materials technology have resulted in ceramic implants that are completely metal-free.